Burger King’s trolling days are far from over — particularly when it comes to its No. 1 fast food rival, McDonald’s. We won’t soon forget the BK Lounge’s biggest and most elaborate prank to date in December, when it guided its customers to nearby McDonald’s restaurants to unlock its 1-cent Whoppers. This campaign was called the Whopper Detour, and it really messed with McDonald’s employees’ heads. Now, Burger King has taken it one step further. They’ve not only come up with the Big King XL burger, described as bigger and better than the Big Mac, but they also want all your expired MacCoins. Remember those things? Back in July, when McDonald’s celebrated the Big Mac’s 50th anniversary, the fast-food chain introduced the first fully food-backed global currency, the collectible MacCoin. Those who were able to get their hands on a MacCoin could then return to McDonald’s and redeem it for a Big Mac, but only through Dec. 31. So for those of you who still have one, Burger King is giving you one more day to use it. The new Burger King sandwich, the Big King XL, is described in a press release as having 175 percent more beef than the Big Mac and features more than a half-pound of flame-grilled 100 percent beef. 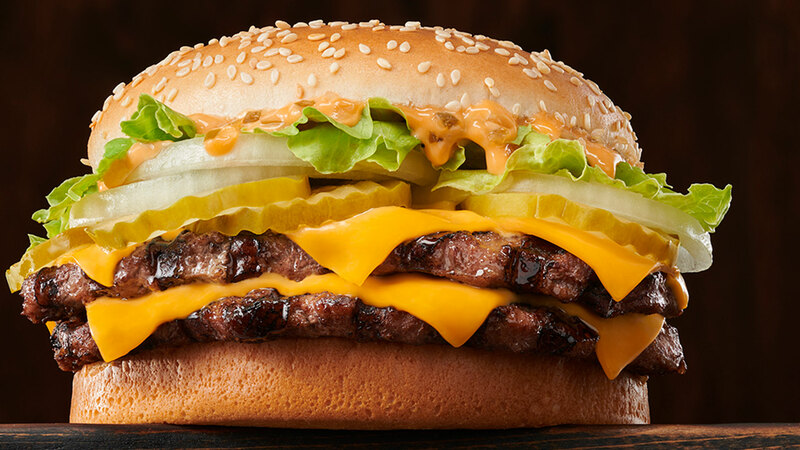 Topped with melted American cheese, sliced onions, zesty pickles, crisp lettuce and a savory sauce, BK’s new burger sounds an awful lot like the Big Mac. The press release even went as far as to compare the weight of the beef used in the Whopper versus the Big King XL: 3.2 ounces versus 8.8 ounces, respectively. The best part of this campaign is that guests can bring their expired MacCoin to a Burger King restaurant and exchange it for a free Big King XL. But here are the two catches: You only have one day — Friday, Jan. 18 — to bring in those MacCoins, and you can only exchange them at select BK restaurants in Chicago, Illinois. Don’t have a MacCoin? No problem. The new burgers are available nationwide for a limited time for $5.59 each.